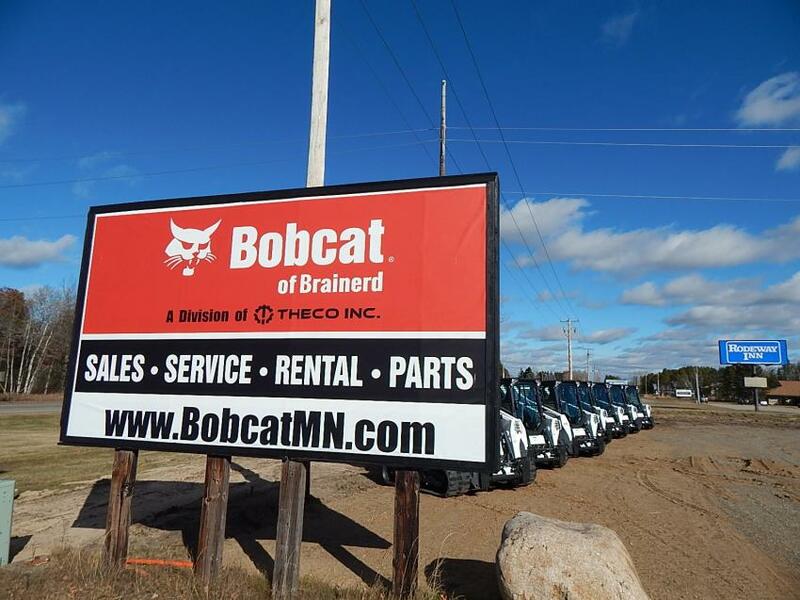 Contracting in north-central Minnesota became a little more convenient Oct. 8 when Bobcat of Brainerd opened its doors to the public. The new 20,000-sq.-ft. facility at 11570 MN-371 serves all of Crow Wing County, an area of some 1,100 sq. mi. with a population of more than 60,000. 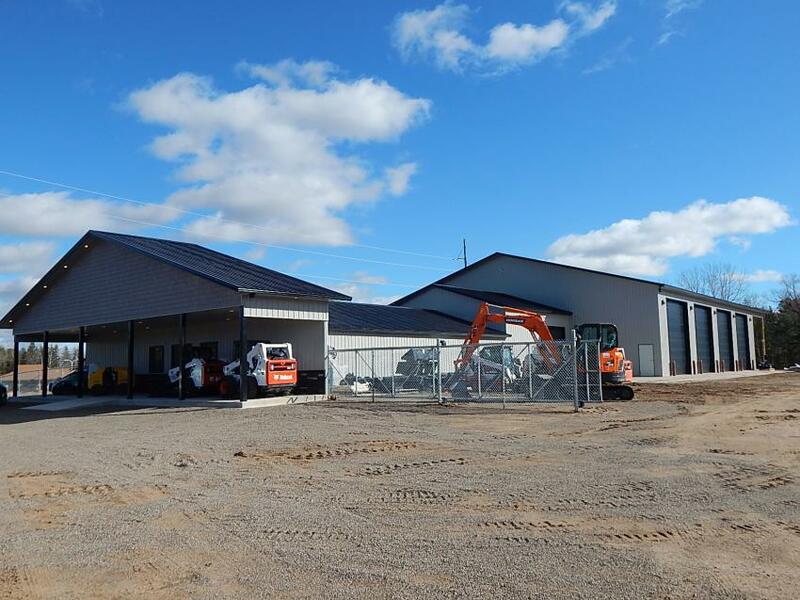 Before its completion, the closest Bobcat dealer was 35 mi. away. 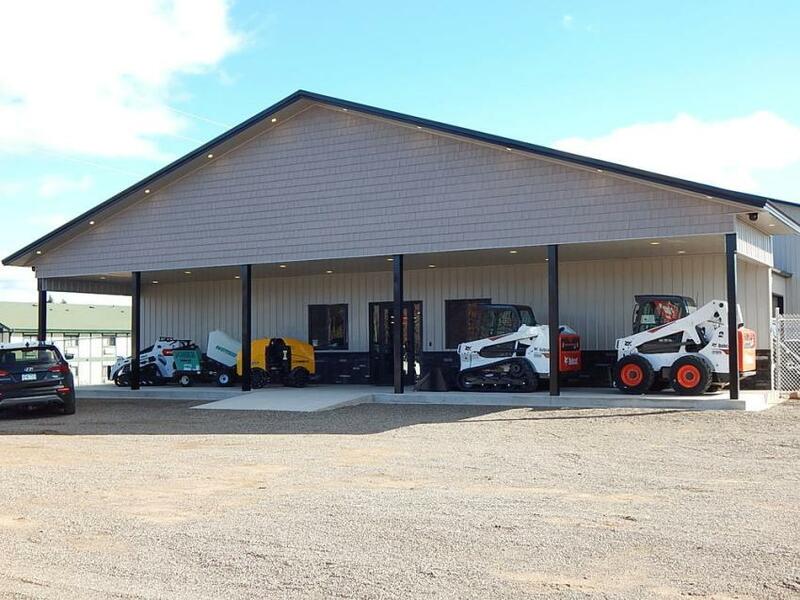 Bobcat of Brainerd's new facility carries a broad selection of new and used inventory for sale or rent, as well as parts for all product lines. With five bays, the service department can accommodate full-sized machines, and with five techs, it can turn jobs around in short order. The staff takes part in factory training for all of Bobcat of Brainerd's product lines, and between hands-on and online learning, General Manager Dan Olson said, that training will amount to hundreds of hours per employee a year. Currently, Bobcat of Brainerd is a Bobcat, Doosan, Powerscreen, MultiQuip, Big Tow, and Telsmith dealer. 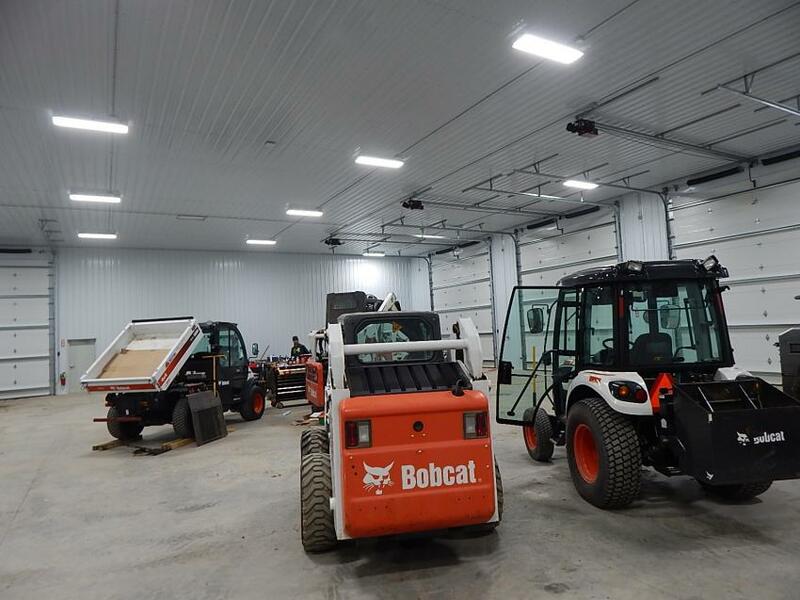 Bobcat is an industry leader in the upper Midwest, in terms of market share, Olson said, and to date, business at Bobcat of Brainerd has been solid. For more information, call 218/829-2800 or visit bobcatmn.com. 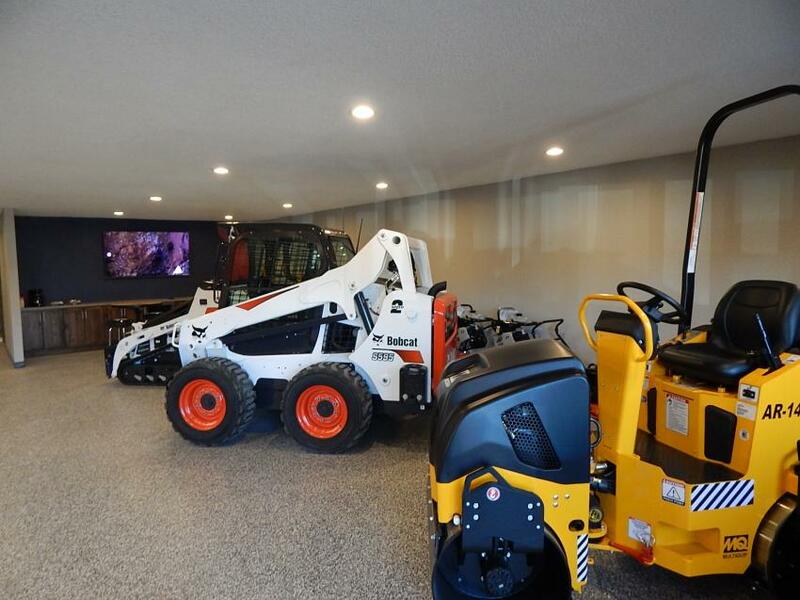 Inventory on display welcomes customers to Bobcat of Brainerd’s sales entrance. 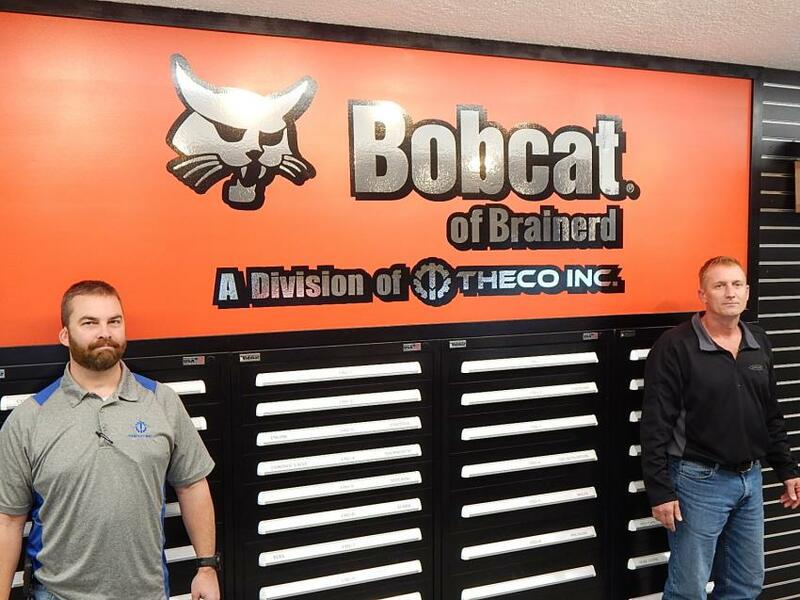 Bobcat of Brainerd service manager Ben Collins (L) and parts manager Bill Feyereisen stand before the company sign at the recently expanded facility. 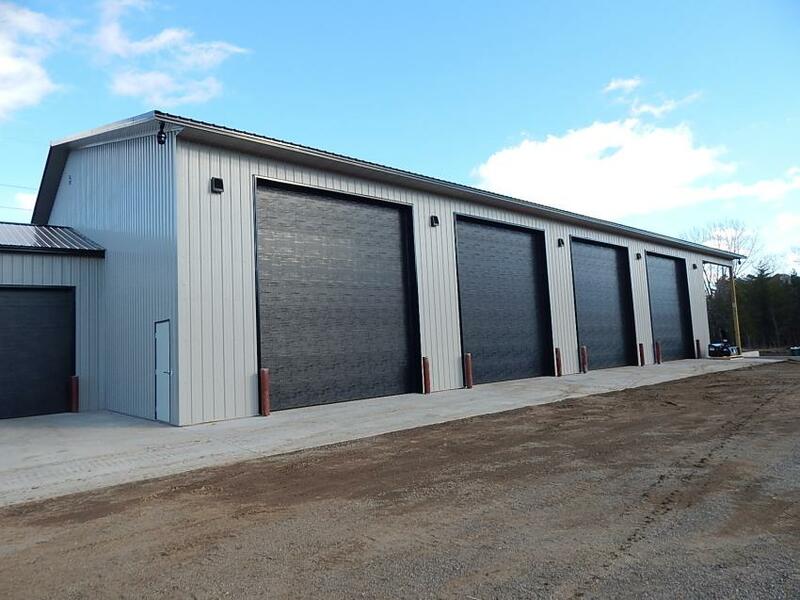 The facility at 11570 MN-371 opened Oct. 8. 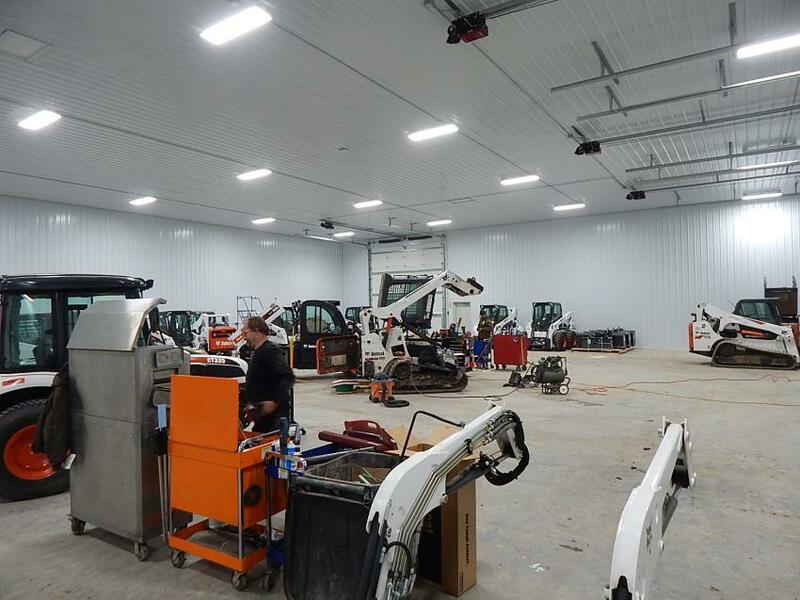 Bobcat of Brainerd serves all of Crow Wing County from its 20,000-sq.-ft. facility. Bobcat is an industry leader in the upper Midwest, said General Manager Dan Olson. Staff undergoes training on all of Bobcat of Brainerd’s product lines. 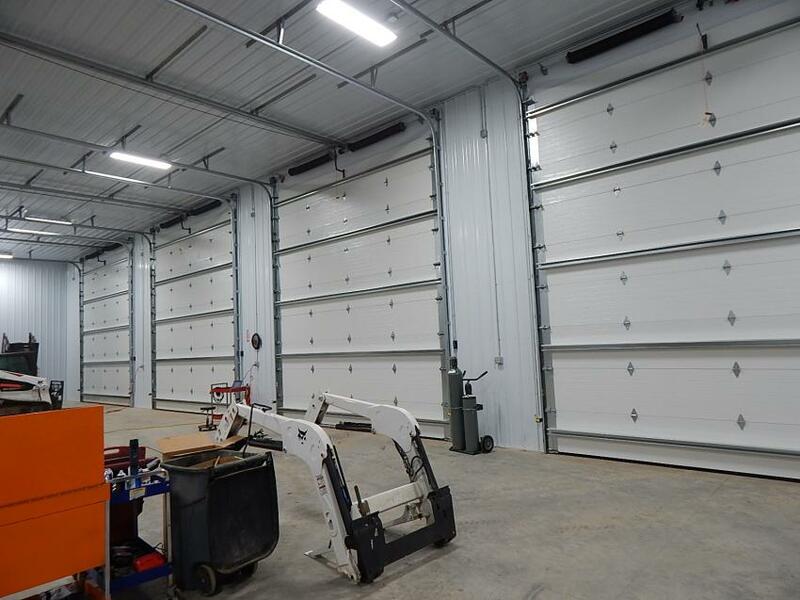 The oversized service bays are capable of accommodating full-sized equipment. Technicians tend to equipment in the service area. The service department at rear boasts five large-scale bays.